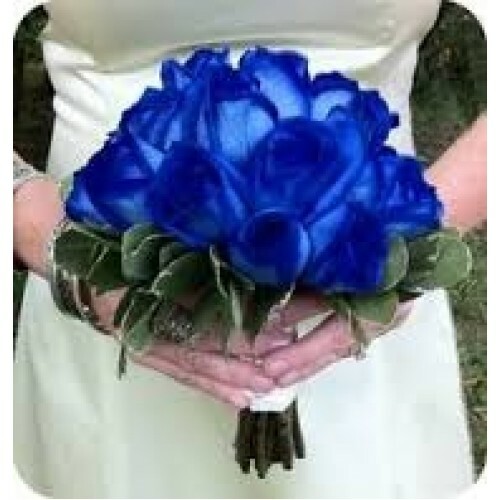 Blue Rose Bridal Bouquet - A smaller bouquet than normal consisting of about 10-15 blue roses expertly arranged into a circular Hand tied cluster. We can put some greenery around the edge to tidy the bouquet up and add your choice of stem wrapping. Blue or white Organza ribbon looks good. All depends on the bride. Email us any ideas you have and we can price up anything you want. Experienced florists - we can do anything you want.